Not only does Wild Things stress the importance of early childhood environmental education, but it also suggests that the sympathy that we as a society are trying to instill in out children is in fact already there to some degree. Today's young children are occupied with numerous activities taking place in settings that are isolated from nature or merely simulations of the earth's natural environment. As a result, unless they receive appropriate nature education, many children may never develop a familiarity with and positive attitudes toward the natural world that are so crucial to its preservation. Wild Things: Children's Culture, Ecocriticism examines the ways in which literature, media, and other cultural forms for young people address nature, place, and ecology. Studies in children's culture and ecocriticism have been largely separate enterprises; Wild Things is the first book to conjoin the two fields. The book provides scholars and teachers with in-depth discussion of particular texts as well as larger historical patterns and theoretical paradigms. Essays focus on classic literary works such as Charlotte's Web and The Lorax as well as series fiction, nature magazines, environmental music and videos, the Muppets and other Jim Henson productions, and Disney's latest theme park, Animal Kingdom. Affording the reader a return to the wild places of childhood—both real and imagined—Wild Things is a first-class exploration of the dimensions used to teach children about ecological systems and the natural world that surrounds them. Sidney I. Dobrin is associate professor of English and Director of Writing Programs at University of Florida. Kenneth B. Kidd is Assistant Professor of English and associate director of the Center for the Study of Children's Literature at the University of Florida. He is the author of Making American Boys: Boyology and the Feral Tale (University of Minnesota Press, 2004). Wild Things: Children's Culture and Ecocritism explores and analyzes those materials that contribute to the ongoing environmental education of children. The essays are well organized, grouped according to period and genre, and cover literature that ranges from the nineteenth century to the present. Because the essays in Wild Things are so engaging and diverse, it would be virtually impossible for anyone to pick up this book and not find something of interest. The collection is both thought-provoking and enjoyable, like the children's literature it explores. Not only does Wild Things stress the importance of early childhood environmental education, but it also suggests that the sympathy that we as a society are trying to instill in out children is in fact already there to some degree. Spanning the seventeenth to the twentieth centuries, from Peter Pan and Charlotte's Web to Disney World and Saturday morning television, Dobrin and Kidd's Wild Things is a cogent and useful examination of children's literature and culture in the contexts of ecocriticsm, ecology, and environmentalism. Its scope and substance will appeal to scholars and teachers at all levels as well as the general public." Children's literature is never innocent, for at serious play are ideologies, discourses, and politics vying to shape the future. 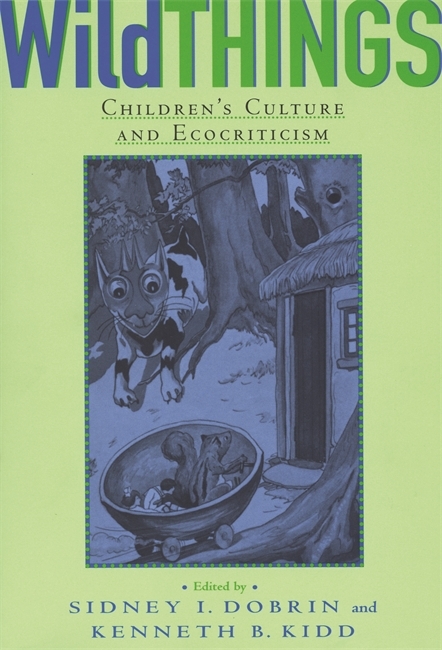 This inaugural collection of ecocritical essays on children's literature and media fruitfully enlarges the purview of ecocriticism and, in places, challenges its very norms."